Hey People! 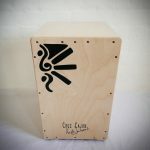 This week I decided to share a clip of my own band (Fernando’s Kitchen Trio) busking (also known as street performing) in the UK, Cambridge, with the new cruz cajon! the song is one of our original songs, called gitano moro, with Sebastian Diez on guitar, Heidi Joubert on cajon and vocals and Tom Blackwood on Bass. Above is a picture of a drawing that an artist (Josie Camus) drew while we were performing! These artworks are on sale on the fernandos kitchen website. I love the song Gitano moro. It is a great song! I have watched this video several times. I have viewed you and Sebastian, playing this song in different cities, and I love it. Sebastian is fantastic on the guitar, Tom is great on the bass, and you rock on percussion, and the vocals, WOW. Keep up the great labor of love you guys have for the music. 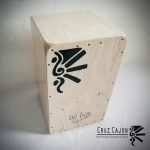 I have only had my cajon for 3 months. Hope to move up to a Prk some day. But your lessons are helping me so so much! Thank You for your time. Best wishes from Tennessee. 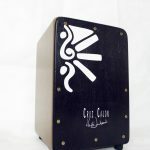 Oh, and I wanted to also say, The cow bell, was so cool! Wow! Such an amazing talent! Thank you for sharing, Heidi.